Ben Affleck: My Son Samuel Played With Prince George, Princess Charlotte! Royal run-in! Ben Affleck and Jennifer Garner&apos;s 4-year son, Samuel, recently had an unexpected playdate with Prince George and Princess Charlotte in London. The Accountant actor, 44, recalled the adorable story during an appearance on The Graham Norton Show, which airs on Friday, November 4. "Despite going to Windsor Castle, Tower of London and Buckingham Palace, we didn’t see one royal. Then when it was raining I took my youngest to one of those kids&apos; indoor play parks. It was pretty empty, and then I noticed this weird vibe from the other grownups," he said. 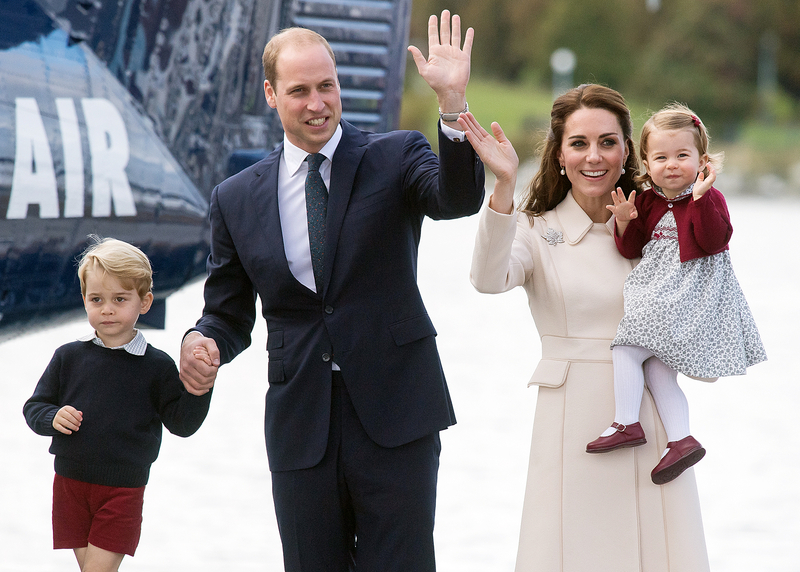 "I thought, &apos;For a kids&apos; place, this is tight security!&apos; I was the very last person to realize that Prince George and Princess Charlotte were in there playing with my kid," he added. "I can now tell him that he got a cold from the king of England!" Affleck didn&apos;t note if Kate Middleton or Prince William were with their children, but the outing most likely happened a few months ago. In April, Us Weekly exclusively revealed that Affleck&apos;s estranged wife, Jennifer Garner, and their kids joined him in the U.K. as he reprised his Batman role to film Justice League. The exes, who are also parents of daughters Violet, 10, and Seraphina, 7, rented a house there. The family went sightseeing during its British stay but didn&apos;t have the best tour guide, Affleck complained. "I wanted them to be cultured. Now if it was in America – and I hate to admit this – you’d get a VIP pass, you’d get backstage and they would accommodate you," the Oscar winner explained. "So I got a tour guide thinking this guy will accommodate me, but that wasn’t the case! He took us to the middle of the street, but we were so far away not only couldn’t we see the guard [at Buckingham Palace], we couldn’t see the fence! We were surrounded by 50,000 tourists looking for selfie opportunities, and we never saw the guards change. It was a disaster!"